I’m out-of-town visiting my friend, Ted, at a skilled nursing facility. He sleeps. I read a book on my iPad. Hours pass. Ted’s daughter arrives. I wait for her in the lobby where I place my coat and Baggallini tote on a chair. I love that bag. It’s lightweight with multiple compartments, including an iPad slot. Susan joins me and we head out for dinner. 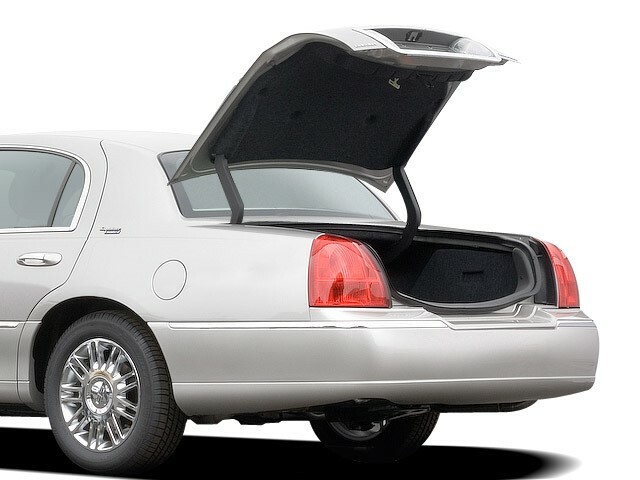 After dinner, I drive to Comfort Inn and grab my suitcase from the car trunk. My bag isn’t there. I search inside the car. No bag. Not a problem. Probably left it in the lobby. I settle in and call the nursing facility, confident it’s there. No bag. Still not a problem. I call the restaurant. No bag. Maybe it fell in the parking lot. I call Ted’s sitter. “Please double-check the lobby and if my bag isn’t there, then look in the parking lot.” No bag. The next morning, I check housekeeping at the nursing facility. No bag. I call customer service at Apple to report a lost or stolen iPad. I learn that I need my Apple ID and password or serial number. Who carries around the serial number or memorizes their ID and passwords? I call Best Buy back home to track the serial number. No dice. I need my credit card number. My iPad was a gift to myself when I retired in 2011. Since then, Bank of America issued me a new credit card, one with a chip. Back to Best Buy. They find the purchase order, but don’t keep track of serial numbers. It’s late and I have a six-hour drive ahead of me. Although exhausted when I return home, I locate iCloud and report the loss. My iPad’s locked and can be located. Triumphant I fall into bed. Next day while unpacking the car, I push aside a blanket in the trunk and uncover my tote bag. I am elated. My iPad is located at my home address. I am embarrassed. During that frenzied day, I learned to keep track of serial numbers and passwords. More importantly, I learned that loss of an iPad is small potatoes compared to Ted languishing in a nursing facility. Mistakes happen. No doubt I will make many more this year. Fran Simone is a Professor Emeritus at Marshall University, South Charleston, WV, campus. She directed the West Virginia Writing Project and taught classes and conducted workshops in personal narrative, memoir and creative non-fiction. Her memoir, Dark Wine Waters: a Husband of a Thousand Joys and Sorrows was published last year. I am a serial cell phone loser. There should be a Twelve Step group for people like me. They fall into the toilet, the gutter, and the Twilight Zone. I rarely find them. I’m sure that they have formed some kind of club plotting to kidnap my current one. Usually cell phones are black, navy, or brown and blend into the ambiance of coffee stains, sofa cushions, and area rugs. They are so small–small enough to fit in my bra. I have breast-fed twice so discreetly removing a cellphone from my bra is easy peasy, and if I keep it on vibrate it gives my day an extra kick, if you know what I mean. This is an observation that hopefully will not arrest his development. Last Tuesday I put it on the nightstand after work and it vaporized by morning so it was time to visit my friendly neighborhood Sprint store. If they had the same reward system as my favorite coffee cartel has it would be time for a freebie: if you lose 8 you get one free. No way. This time my primary criteria for buying a phone was size because sometimes size does matter. I wanted the biggest phone in stock, and I got it–a 3″ by 7″ Otter iPhone; it is almost as big as my Kindle. And heavy. If I wasn’t afraid of cracking the screen I could clobber someone into his or her next lifetime. Although my only criteria was size I should not have been surprised that its magnificent circumference hosted three hundred apps. I can now translate text messages into Spanish although I don’t know how to send them. The Vienna Boys Choir can wake me up singing like trumpets and force me to complete a puzzle before they are silenced. I can track my Weight Watcher’s points, use Mapquest, take a selfie, check my email, and learn to crochet on You Tube. I can video, do calculations, and file memos. I have a calendar and both an analog and digital clock. I can edit slides and file my life on Life Square. I can listen to music and make movies. But I cannot figure out how to answer my phone or check voicemail. I have always been reluctant to get an iPhone or a smart phone as I didn’t want to be at the mercy family and friends. Instead I’m at the mercy of widgets. My acquaintances can dial on the hour but until I decode the mystery of correctly swiping the icons I may never hear their sweet voices again. I may have successfully found a way to never lose my phone, but I may never find a way to use it either. Carol has been a grateful member of SCN for four years. She is also a gardener grandmother, social worker, and Goddess centered woman who is delighted to learn and grow in the company of such splendid women. One day I was fascinated by a display of coloring books called Hidden Transformations and Zentangles in our new bookstore called “Bluebird Books”. Taking a couple of the books in hand, I sat in a soft armless chair and flipped through the black and white pages. “It’s a coloring book, isn’t it?” I asked. Melanie explained that these pictures needed a finer colored pencil, not crayons, to fill in the black and white lines. “Why not? 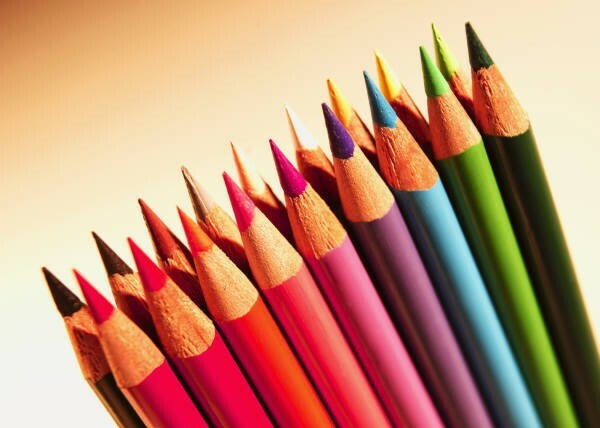 This looks like fun,” I walked out with a new coloring book and colored pencils. Then like so many projects it began to collect dust until today. Instead of a Christmas tree and packages decorating my house this time of year, it looked like a jungle of packed furniture, stacked drawers and chairs, plants in the hallway, couches in the kitchen, and a dining room table with a TV and speakers on it because today our new carpet for two large rooms arrived. By noon the old carpet was out in the truck to be hauled off. After lunch I sat down to write quietly, only to have my computer create a glitch by not turning on. I nearly screamed with frustration, for fear of losing all earthly words on forgotten pages and my pictures! While fretting over technology, we discovered that the order did not include carpet for the closet, but the carpet had been pulled out. Now we had new padding and not enough carpet and a computer that refused to work. The problems were compounding, and my head was frantic. When the carpet layer placed the first roll down in the living room he turned to me with a look of doom. There before our eyes were three places that didn’t take the factory dye. My stomach knotted slightly, Christmas was a week away. The other two rolls were fine, so he began to install the carpet in our bedroom. Before the company representative could arrive to give us our carpet options, the heating/AC company called to say they could be here within the hour to add the duct work to give us two more heating vents in the sunroom. With temperatures recently below zero this was important. Like twins the two people showed up at the same time. We choose option one: to lay the defective carpet now, move the furniture back in, and await new carpet in two weeks, then move the furniture out again and rejoice when it’s completed without any extra charges, except for the chiropractor! So while the house was busy with pounding, banging, and grunting, and the computer rebooting itself, I retreated to my writing room and found my coloring book. All afternoon I colored, transforming my problematic day into one of quiet retreat and colorful images, albeit not completed like my house and carpet. Letty Watt’s interests revolve around the weather and the seasons. When it’s warm she’s outside playing golf or gardening; when it’s cold she’s inside writing, reading, and enjoying time with friends. This evening I walked the Sonoma Coast headlands the hour before a sunset that lit the sky with crimson and gold. How good it felt to be high on a cliff seeing seagulls form a flock then cast apart on gusts. White caps pounded rocks for miles in both directions and beyond them the sea looked almost placid, readying for the night. Suddenly, a siren sounded, something rarely heard here. I watched three police cars pass and wondered where they were headed as I walked back to the car. Who would need to be saved on a night like this? The tide was low, the ocean calm. I was puzzled. Just then, the helicopter began to rise from the sand. A beautiful boy with almond eyes came up carrying a guitar under his arm, here, maybe, to play for the sunset. “She’s going to be alright,” he said. “Do you know what happened?” I asked. I watched the helicopter turn toward the full moon that hung luminous in the eastern sky, toward a city where no one will see that moon, away from where I stood realizing a woman had nearly ended her life at the same time so many of us were filled with wonder. How unsettling it was to remember what different experiences we’re all having, to be reminded that not everyone could go breathless by a sky like this, that they could want to die under it, taken away by the cold, cold waters. 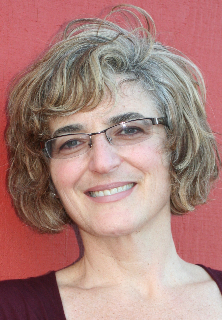 Suzanne Sherman is a writer, editor, writing teacher, and writing consultant with over 30 years in the publishing business. She helps writers develop their work in a variety of genres and find publication. Her short memoir has appeared in The Sun, Skirt!, Women’s Voices, and other publications. Visit SCN Online Classes and see her website for more. Yesterday was not an ordinary day. For the dozen years that we’ve been on the Internet here at our house in the Texas Hill Country, we’ve been on “dial-up.” I could grow old, very old, waiting for the monitor screen to fill. But that’s changing. Yesterday, we had a satellite dish installed on the house and I am now plugged in to the wide, wide world. Now, the signal whizzes 23,000 miles up to the satellite and back down to my desktop in less time than it takes to type a sentence. Fully wired, always on. So? Does any of this make me a better writer? Without a doubt. The facts I might be tempted to guess at if it meant a trip to the library (or even a trip to a bookshelf in the other room) are now as handy as a Google search. The writing is more richly detailed, more comprehensive and accurate, more up-to-date. But now I wonder: am I am too dependent on the Internet? What would I do if it went away? How would I do the research, read newspapers, pursue information? Would I have to go back to using what we contemptuously call “snail mail”? Hope it never comes to that. I wouldn’t care to responsible for what might happen. Susan Wittig Albert is the best-selling author of four mystery series and several works of nonfiction. 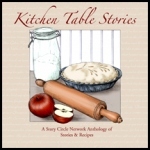 She founded the Story Circle Network in 1997.